Composed by Wolfgang Amadeus Mozart (1756-1791). Full Orchestra (Full Score); Larger Works; Masterworks; Performance Music Ensemble. Dover Edition. Classical; Masterwork. Score. Dover Publications #06-40868X. Published by Dover Publications (AP.6-40868X). 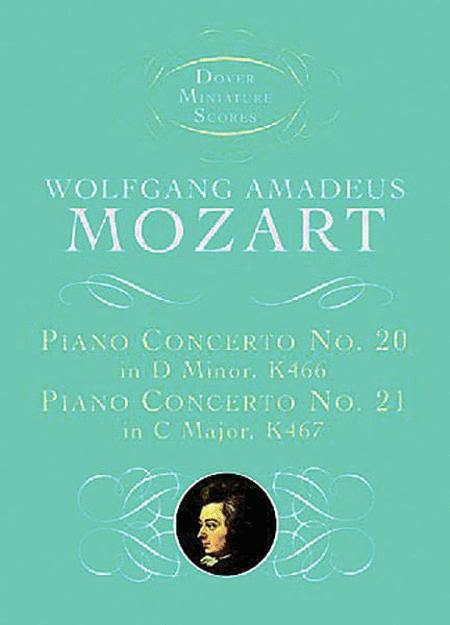 Two well-loved concertos, both composed in 1785, abounding in Mozart's characteristic invention, clarity, grace, and proportion. No. 21 supplied theme for movie Elvira Madigan.